Peter Kochenburger specializes in insurance law and litigation. Peter Kochenburger, a specialist in insurance and consumer law, joined the UConn Law faculty in 2004. Currently, Professor Kochenburger is the Executive Director of the Insurance LLM Program and Deputy Director of the Insurance Law Center, where he developed and taught the school’s first online courses involving students and faculty from China, Italy and the United States. He also serves as director of the Law School’s graduate programs. Before joining the faculty, Professor Kochenburger, a graduate of Yale University and Harvard Law School, spent eleven years as counsel at Travelers Property Casualty, where he managed significant coverage and bad faith litigation, as well as legislative and regulatory affairs across such subjects as workers compensation, OSHA, guaranty funds, tort reform, antitrust, and environmental issues. His professional experience also includes serving as an assistant attorney general in the Consumer Protection Division of Iowa’s Department of Justice where, for more than four years, he enforced consumer credit laws and led litigation nationwide against several of the largest financial services companies in America. From 1986-1988, he served as special assistant to the dean of Harvard Law School. As a funded consumer representative for the National Association of Insurance Commissioners, Professor Kochenburger advocates for consumer interests on property-casualty and life insurance regulatory issues. He also regularly consults with policyholders, government agencies, and nonprofit organizations on insurance and consumer issues, serves as an expert witness in insurance-related lawsuits, and is an associate editor for the ABA Tort Trial & Insurance Practice Law Journal. Disaster and insurance experts said that reinsurance would probably work at sheltering taxpayers from unexpected costs. But they said it’s far from clear that reinsurers would exert enough influence on the government to enact policies that reduce Americans’ exposure to risk -- policies that tend to be unpopular, which is why they haven’t been adopted yet. 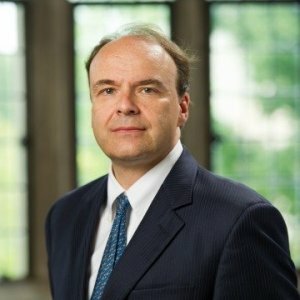 Reinsurers have significant influence over the decisions made by primary insurers, whose business models depend on reinsurers agreeing to buy their risk, according to Peter Kochenburger, a professor and deputy director of the Insurance Law Center at the University of Connecticut School of Law. But he said that same dynamic doesn’t hold for the government. "If you have a dog, and you own or you rent, you need to think about this," said Peter Kochenburger, deputy director of the Insurance Law Center at the University of Connecticut School of Law. Peter Kochenburger suggests that insurance companies peddling active shooter or terrorism insurance policies could easily capitalize on fear without ever having to pay out any claims. Mass shootings continue to rise in their severity, but they aren't rising in frequency. "But lies are likely to catch up with you, especially if you have to file a claim. State laws vary, but if the lie is material to your claim, the insurer could deny you coverage and even cancel your policy, Peter Kochenburger, deputy director of the University of Connecticut's Insurance Law Center, told CNBC. You might also run afoul of state insurance fraud laws..."
"'It's not intuitive that how I handle my credit card can affect things like my auto or home insurance,' Peter Kochenburger, deputy director of the University of Connecticut's Insurance Law Center, told CNBC..."